Easter season is truly one of the best. While there’s a sadness and somber nature that comes with the Easter story, there’s also hope and resurrection. There are lessons to be learned from this time that can be applied to every and any season. Our private school is going to take some time to look into these messages in today’s blog. At Resurrection Christian School in Loveland, we offer incredible academic and spiritual growth, as well as opportunities, for every one of our students. 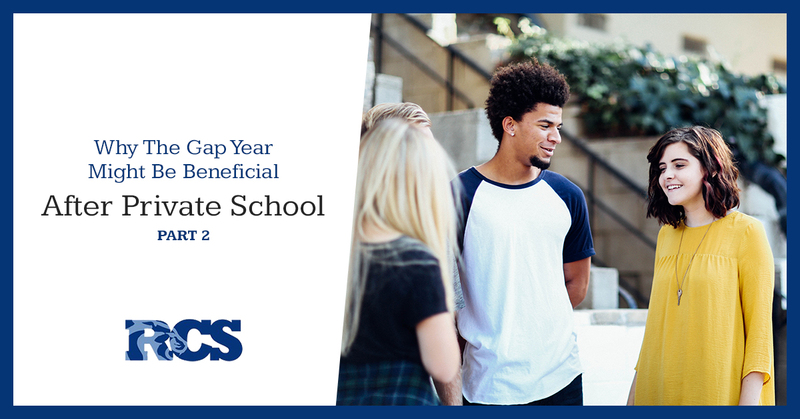 Look into enrollment with RCS and contact us to get started. We look forward to hearing from you! Until then, take a look at some of the most important takeaways from Easter. It’s a well-known belief in Christianity that Jesus died on the cross so that our sins can be forgiven. He took away the sins and pain of the world, in the ultimate act of forgiveness. We can take this almost-inconceivable act of forgiveness and apply it into our daily lives. Our feelings will be hurt from time to time. Certain people will rub us the wrong way. 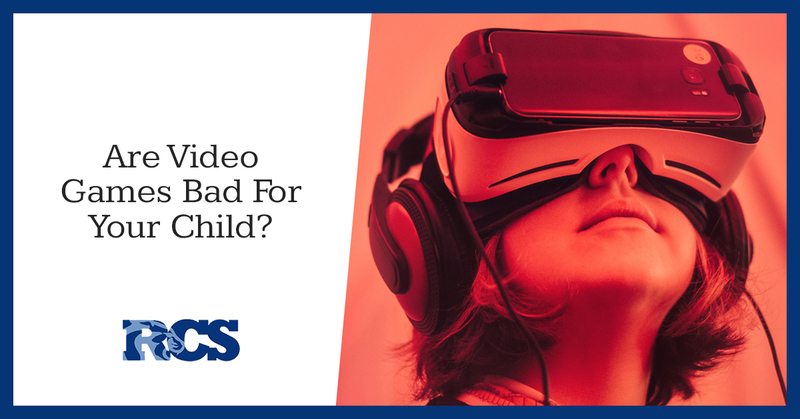 You’ll likely have to counsel your squabbling 7-year-old and their sibling many times over the course of their childhood. But when we remember that we have the choice to move on and forgive, we should absolutely take it. We are imperfect, but we can live out God’s message by showing love, kindness, and forgiveness to everyone we meet — especially when it’s hard to do. Jesus didn’t just forgive the sins of those who loved him, but of those who betrayed him. He showed love to all, not just the people who he saw eye to eye with. When it comes to showing love and kindness, it’s easy to do when we love someone. It’s difficult when we don’t. But if everyone eliminated the thought of “enemies” and simply treated everyone with love and respect, the world would truly be a different place. It doesn’t only have to be Easter season for that message to be relevant. When Mary Magdalene, Mary, and Joanna (also called Salome) went to Jesus’ tomb and found it empty, they originally despaired. They were already devastated by his loss, and then to see him not there, it was almost too much to bear. Two angels brought the news that he had risen, saying “Why do you look for the living amongst the dead?” (Luke 24:5). Trials and tribulations are a part of life. Sometimes, it feels safer to give up and think the worst than to hope for the best. But we mustn’t forget that there is always hope. Even in the darkest of times, even when it feels like we are alone, there is always something better on the horizon. Hope is precious, and should not be forsaken. Jesus teaches us that every end has a new beginning. Spiritual health is as important as physical health. Easter season is one of those times of year where many people who haven’t gone to church in awhile take it upon themselves to attend service. First off, there’s no judgment — our private school believes that going to church, no matter what time of year, is extremely beneficial. It’s better to go than to not, even if you haven’t been in awhile. With that being said, our connection to Christ shouldn’t solely exist once or twice a year. If we only talked to our spouses or our parents or our children or our friends once or twice every few years, we would lose out on an incredible connection. Spirituality is so important to maintain, even when your beliefs wax and wane (which is normal). Jesus would not have risen if it weren’t for his faith and connection to God. Easter should be a time for us to reconnect to our spirituality, and to maintain that connection throughout the rest of the year. The hardest thing and the right thing are often the same thing. Jesus did not want to be crucified on the cross. No one in their right mind would want that. But he knew that it was the right thing to do, and that the impact of his actions would change the face of the world. When faced with adversity, it’s important to remember that your morals should not be compromised. Doing the right thing is often going to be challenging, but it is fundamentally right. Carry out the same bravery that Jesus showed when going forth with his own crucifixion. Our private school in Loveland gets its name from this time of year. We believe in the power of God’s love and Jesus’ resurrection so strongly and fiercely, and this is at the foundation in all that we do. 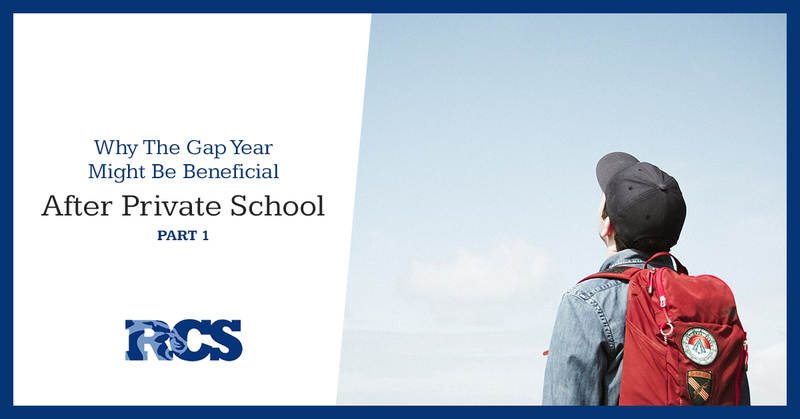 If you think your child would benefit from a moral compass and unparalleled education, look into enrollment with our elementary, middle, or high school programs today. May this Easter season be a wonderful time of reflection for you and your family. Welcome back to our homework helper blog on writing practice! In our first blog, we covered some of the basics for the littlest writers. 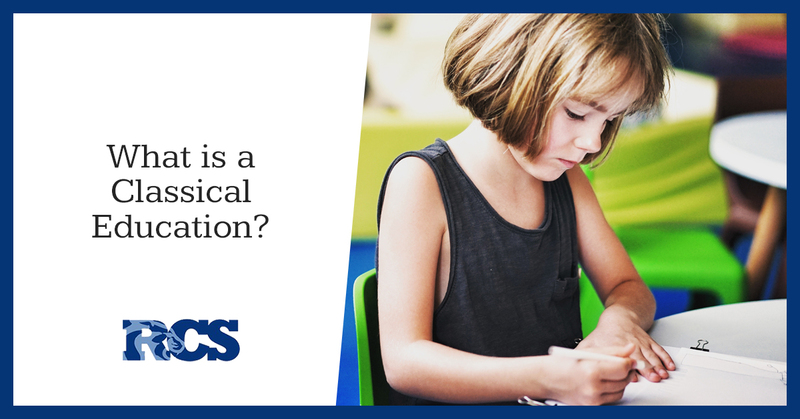 Until about first and the beginning of second grade, the biggest concerns for writing are simply knowing how to physically do it. Later elementary, middle, and high school students are all working on the same things — they’re just getting increasingly more challenging and building on the same foundations. 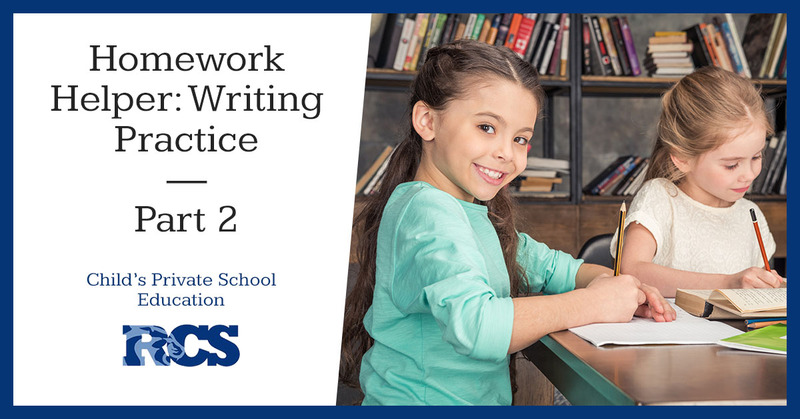 These writing tips from our private school will help your child be prepared for all sorts of writing formats down the road. 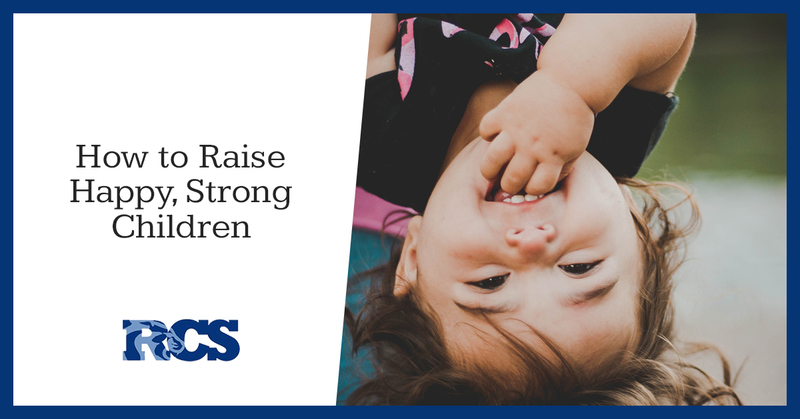 Find out how you can help your child’s writing grow at home, and contact RCS to learn more about enrollment for preschool, kindergarten, elementary, middle, and high school! Why Is Writing Practice Important? Writing and math have two things in common: People think they’re either good or bad at it, and they plan on using it or never using it for the rest of their lives. But with both math and writing, we use these subjects all the time, which is why it’s important to learn the foundations and to feel confident in some of the basics. Writing, in particular, is something that your child will do all throughout their life. Essays for classes that impact their GPA, college applications, cover letters, work reports — the list goes on. Our private middle school encourages writing practice now so that your child can be well prepared and knowledgeable for their future encounters with writing. Whether they come home with a big assignment or you’ve noticed they haven’t gotten as good of grades in their writing report cards or assessments, there are plenty of ways to help your kiddo practice their writing skills outside of school. Nearly all writing assignments — even those in the professional setting — have some type of prompt. One of the most important parts of writing boils down to understanding exactly a prompt is looking for. By dissecting the prompt, your child (and you) will have a clearer idea of what to base their writing off of. Most essays are looking for an introductory paragraph that includes a thesis statement, a few body paragraphs (usually three for elementary and middle school grades) that provide evidence to support the thesis, and a closing paragraph that brings it back to the original thesis. Looking over samples of essays in this format is a great way to get an idea of what works and doesn’t. Usually, your child’s teacher will include a rubric so you can also get an idea of what the final product should look like — feel free to ask for one if you don’t have access. By knowing what a paper or essay should look like, you can help your child format something similar. On that note, it should be added that learning how to write thesis statements, find evidence, and connect it back to your writing in a cohesive manner is pretty challenging. Don’t let one bad grade knock your child (or yourself) down — use it as a learning tool and grow from there. Essays are one of the more formal types of writing, but at our private elementary, middle, and high school, your child will gain experience with many different types of writing. Poetry, limericks, haikus, song lyrics, fictional stories, and reports are just a few examples they’ll encounter. By exposing your child to many different types of writing, they’ll become a more well-rounded writer. Switch up the books you read together at a young age — try poetry (“Inside Out And Back Again” is a great one), nonfiction books, fantasy stories, and everything in between. When your child can provide context to the writing task at hand, they’ll have a starting place and will be more ready to dive in. If your child plays basketball, they undoubtedly know and talk about Stephen Curry and James Harden. If your child plays guitar, they know all about some of the great musicians of classic rock. We look to others for inspiration and motivation, and the same can and should be done for authors. Talk with your kids about writers that they enjoy — has there ever been an author they’ve continued to be drawn to, or a series that they love? If so, what have they liked about the writing? By revealing the man or woman behind the curtain, your child can get a sense for writers that they love and aspire to emulate. Handwritten essays are going to one day be a thing of the past. It’s important for your child to know how to write clearly and concisely by hand, but it’s just as important — if not more — to practice typing skills. There are countless programs available that can work to improve your child’s typing. From games online to software, it’s a good idea to start your elementary schooler out strong so that their typing skills are developed by the time they get to our private middle school and high school. Here’s the tricky thing about writing — no piece of writing will ever feel perfect. It will never feel done, and even if you’re proud of it now, chances are you’ll look back on it months and years later and find so many mistakes. You’ll wonder why you ever thought it was even good (and that’s when you become a writer!). Improving my handwriting or typing (writing neater or typing faster/more efficiently). Using a new word I’ve researched for every paper. Raising my grade from a C to a B on my next writing assignment. Reading more from different writers, and trying out different writing voices. Not only should your child set goals, but you all should celebrate when those goals are met! This is a great way to continue developing writing skills, and to help children feel motivated to continue growing as a writer. One of the ultimate best ways to help your child succeed in writing is by enrolling them with our private school in Loveland. We are the academic path your child needs to thrive and flourish in their future. See why parents and kids love RCS, and contact us to begin the enrollment process today. The first week of the holidays, your family is likely rushing around trying to get everything set for Christmas. You’re cooking all the foods, meeting up with all the family, wrapping all the presents, and come Christmas Day, you just want to relax. After the blur that is the Christmas season, however, you want your kids to do something engaging. You don’t want them spending the rest of their break on the iPad or on their phones or playing the XBox. Not only does this feel like a waste of time off, it makes getting back into school and routines more challenging. Our Christian school has some educational activities that your family to enjoy that are both enriching and fun, while still making time for relaxation. Connecting as a family, resting, having fun, learning — that’s what break should be all about! Learn more from Resurrection Christian School, and look into preschool, elementary school, middle, and high school enrollment options for your child! A day off makes for a delightful trip to a museum. In Colorado, we have so many amazing options for everyone in the family to enjoy. If you haven’t taken your family to the Denver Art Museum, it’s well worth a trip — they have countless kid-friendly activities that can be found around the museum. There’s also going to be a free day on January 5th! The Fort Collins Museum of Discovery is an even closer option. While it’s a bit more catered to younger children (think fifth grade and below), there’s still something for everyone to enjoy. And don’t forget to check out the Loveland Museum website to find special events and exhibits that are happening close to home! Getting some new books is an obvious perk of visiting the library. But the Loveland Public Library has tons going on, and all their events are free! There’s a Messy Arts event happening on December 22nd, and a science event on the 28th — ideal for some hands-on and enriching activities for your young ones! Check out their calendar to find more opportunities for your family. And back to our book comment, is there anything better than curling up with a good read in the middle of the day? We think not. Children learning their sight words and elementary-aged kids working on spelling and vocabulary can benefit from this one. Create a list of words that your kids need to find (completely fine to make different lists for each child), then walk around downtown Loveland or Fort Collins to try to find each word. Each time a word is found, kids should write down where they found it (good writing practice!) and can take a picture of it as well. This is a fun and unique way to grow literacy concepts, and a great way to get outside and explore over the holidays. Board games are educational? You bet! There are so many educational benefits that come from playing a board game. Strategizing, critical thinking, logic and reasoning, these are just a few skills that are honed through board games. But to add onto that, essential math and literacy skills can be developed through specific board games. Bananagrams, Scrabble, and Boggle are great for word play. Yahtzee and Monopoly are excellent for working on addition and subtraction. You can never go wrong with a game of cards, either! Get a new board game for the family for the holidays, and spend one of your days off playing. It beats everyone being on their phones or devices for a day, and it’s such a fun way to connect with your family. If you’re worried about your competitive children getting upset and the game turning from a fun event to a hostile, tear-filled situation, find a collaborative game for everyone to play instead, try playing on teams, or have the classic rule: whoever wins has to clean everything up. It’s always a great opportunity to talk about being a good sport, regardless of if you win or lose. Tallest Tower: With an unlimited number of Legos, encourage your children to make the tallest tower they can — with the rule that their tower must be able to withstand an earthquake (shaking the table). After they’re finished, talk with them about how this rule impacted their design. Identical Housing: With an unlimited number of Legos, the challenge is to create identical housing for two Lego families (though the colors of the blocks can be different). It’s more challenging than you might think! An added layer would be giving a limited number of Legos, which makes it more tricky to figure out. Road Runners: Create a vehicle (with wheels) with the goal of having it travel as far as it possibly can. Looking for something more imaginative? Encourage your children to create a mode of transportation that has yet to exist. Hover cars, rocket boats, the sky’s the limit! A sunny winter home is an excellent place for plants to blossom and grow. Taking a trip to your local gardening store can get your family set up with some seeds, soil, and planters. An afternoon spent preparing your potential garden is an exciting and invigorating activity that everyone will love. It’s also a gift that keeps on giving — tracking plant progress is an ongoing learning activity! You can go for a flower garden, or if you’d like to create a fruit and vegetable garden in the summer, this is a great time to start seeding your plants. Talk with gardening experts at a store about what they recommend, and happy planting! Learning about the birth of Jesus is why this season exists in the first place, and it’s absolutely an educational activity. While at our Christian school, your child will spend time learning about this miraculous time, but it’s an excellent lesson to reinforce at home as well. Leading up to Christmas Eve and Christmas Day, spend some time with your family talking about Jesus’ birth, revisit the relevant scripture, and think about some takeaway lessons for your family to practice in the coming holidays and new year — as one example, think about how Mary did not have a place to go, and find volunteer opportunities to help those who are also in need. 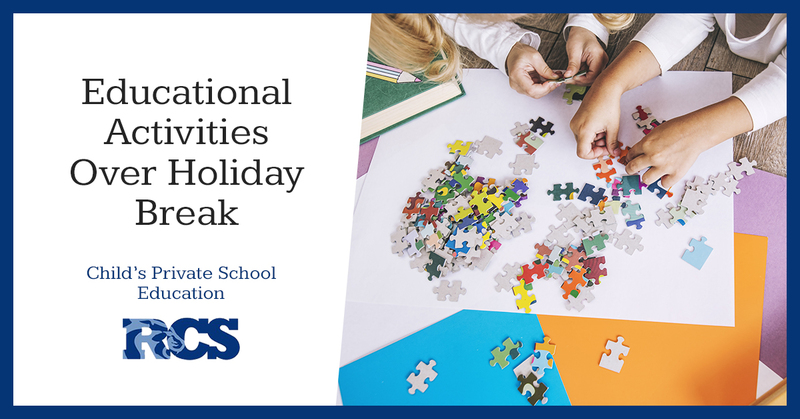 The holidays are a spectacular time, and when you can bring in some educational activities for your family, you will not only strengthen your connections by spending time together, but you’ll have a break that’s happier and more fulfilling. Resurrection Christian School is all about having learning opportunities wherever you are, but we’re also about family time and getting to relax. With these activities, you’ll get all three. Have an amazing holiday season, and contact our Christian school in Loveland to schedule a tour!